For years, Turkey has had to carefully navigate between the axes of the West/NATO, the Arab world and the Russian bloc. But after seeing an opportunity to pounce on regional power in Syria, Turkey now evidently sees Russia as a more valuable partner than the U.S. 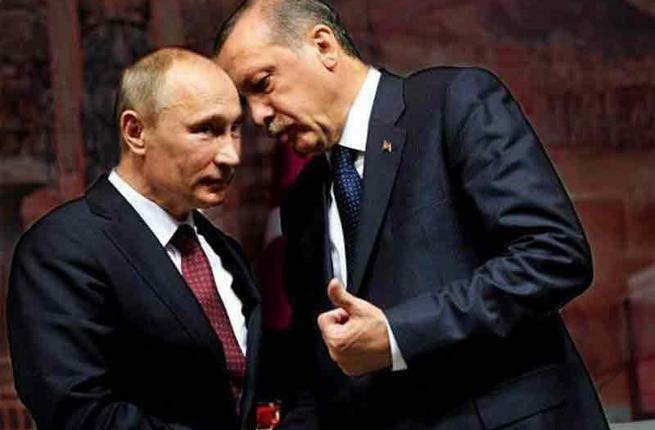 When Turkey made the decision to invade the Afrin region of northwestern Syria, it sought Russia’s blessing long beforehand. In the Summer of 2017, Russian Defense Minister Sergei Shoigu and Turkish Chief-of-Staff Hulusi Akar met in Istanbul. As a result of the meeting, Russia gave Turkey partial permission to fly over Syria—a move that both gave Turkey the ability to enter into Idlib with aerial support to police the de-escalation agreement, and allow any offensive into Afrin to occur.